Our player camps have been designed to provide a true development experience for each camper. Throughout the 2-3 days players will go through a unique locker room experience, on field training sessions and classroom educational sessions which include video review. U.S. Soccer National Development Center, Kansas City, KS. *Update* Due to our new program being ready for release and requests, we have opened the camp up for players born in 2005-2002 as well. So camp will be open to ages 2010-2002 in Kansas City. Camp Registration is $200.00 and included in this fee is; W.I.N. Training Uniform, Meals, Welcome Packet and all other associated fees with staffing, facilities, equipment etc. Camp will start after 1:00 PM on the first day (1/2/2019) and end at lunch (11:30 AM) on (1/4/2019). Current Coaching Staff; Roger Bongaerts (Current Head of Development and Academy at VVV Venlo – Netherlands), Scott Allison (Head of Academy at Partick Thristle – Scotland), Wayne Evans (Former Player at Manchester United, Cardiff City and Wales International), Michael Nardiello (Former Player at Manchester United, Liverpool, West Bromwich Albion and England International) and International Coach Steve Guppy. Player and Parent Classroom Sessions will be held and open to all participants. A Coaches Educational Clinic will be held on Thursday 3, January in the evening starting at 6:00 PM. This is open to all coaches wishing to attend, regardless of whether your players or teams are participating in the event. Visit here to register for $50.00 (limited space). The coaches clinic will be held at USSSA Space Coast Stadium. Orlando International Airport is located approx 1 hour away from the camp site. No housing is provided with your camp registration, but you will be asked to submit where you are staying. Registration deadline is December 30, 2018. 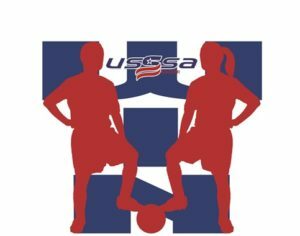 For further questions or information please contact; soccerinfo@usssa.com.